But digital rights groups say the move expands the FBI's hacking authority. 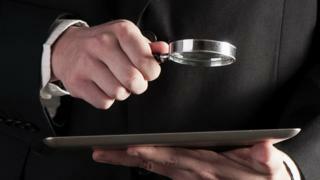 A remote search typically involves trying to access a suspect's computer over the internet to explore the data contained on it. "Criminals now have ready access to sophisticated anonymising technologies to conceal their identity while they engage in crime over the internet," said DoJ spokesman Peter Carr. "The use of remote searches is often the only mechanism available to law enforcement to identify and apprehend them. "The amendment makes explicit that it does not change the traditional rules governing probable cause and notice." However, groups such as the American Civil Liberties Union (ACLU) have warned that the change could expand the FBI's ability to conduct mass hacks on computer networks. "Such a monumental change in the law should not be snuck by Congress under the guise of a procedural rule," said Neema Singh Guliani of the ACLU. In 2015, search giant Google also opposed the change, which, it said, "threatens to undermine the privacy rights and computer security of internet users". Oregon Senator Ron Wyden said the change had "significant consequences for Americans' privacy", and said he would seek to reverse the decision. "Under the proposed rules, the government would now be able to obtain a single warrant to access and search thousands or millions of computers at once; and the vast majority of the affected computers would belong to the victims, not the perpetrators, of a cybercrime," he said in a statement. Congress can still opt to reject or modify the changes to the federal rules of criminal procedure - but if it does not act by 1 December the change will take effect.